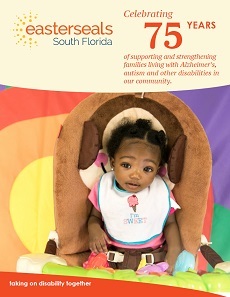 The Annual Golf Tournament has been attracting golf enthusiasts from Miami-Dade and Broward counties for over 26 years to benefit Easterseals South Florida, whose mission is to change the way the world defines and views disability by making profound, positive differences in people’s lives every day. The event includes lunch and dinner, a goodie bag for all players, complimentary beverages & snacks on the course. Join us this for a Cinco de Mayo themed fun day of golf for a wonderful cause! For more information on this or other Easterseals South Florida annual events, please contact Marta Quintana, Vice President of Development at 305-547-4765 or marta.quintana@sfl.easterseals.com.